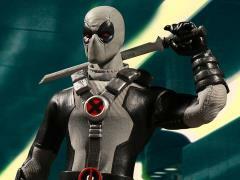 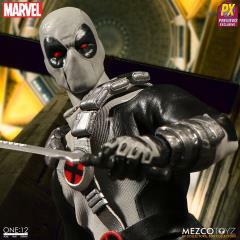 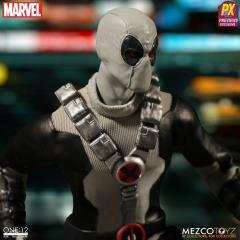 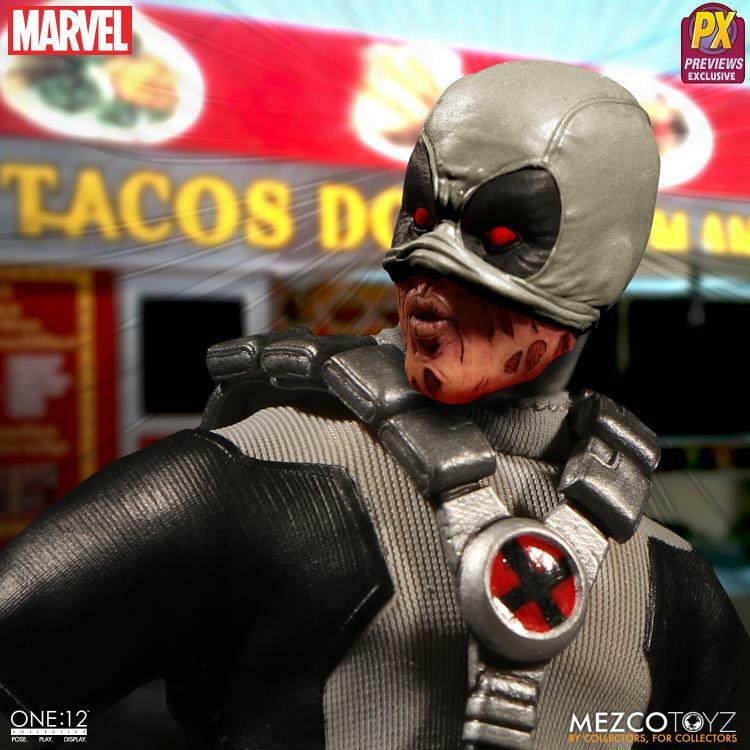 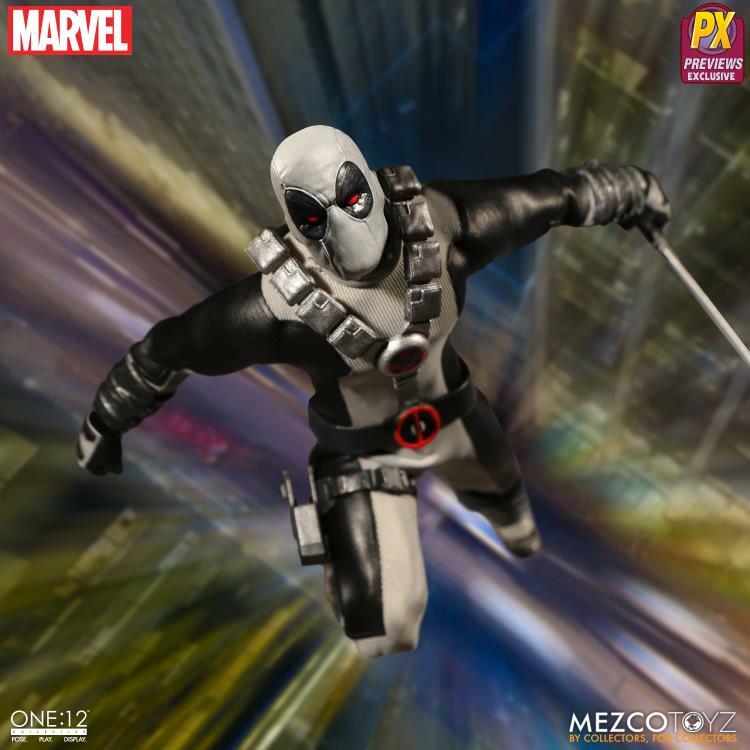 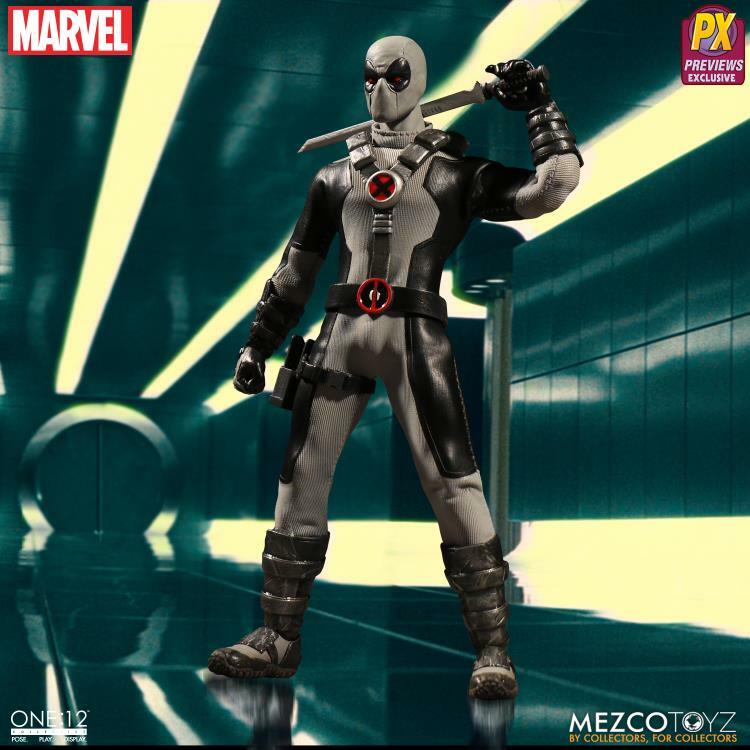 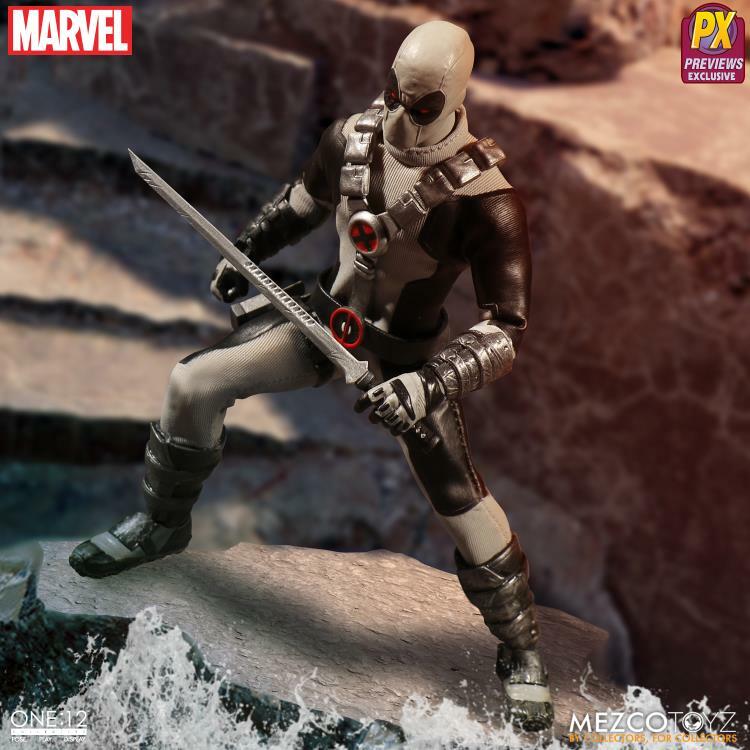 The Merc with a Mouth as seen in the X-Force joins the One:12 Collective with a comprehensively detailed outfit and portrait sculpture! This X-Force Deadpool figure features over 30 points of articulation and hand painted authentic detailing and comes with two newly developed head portraits, six interchangeable hands, and a detailed cloth costume. 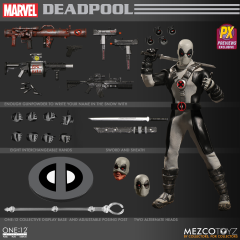 He includes four grenades, machine gun, and katana as well as exclusive rocket launcher, grenade launcher with six grenades, and two submachine guns! 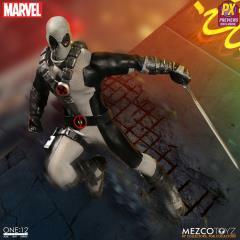 Deadpool can be posed on a 1/12 scale Collective display base and adjustable posing post for easy display.